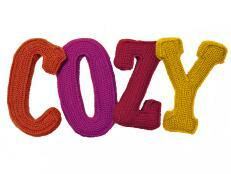 Think you have to pack it in for the winter? 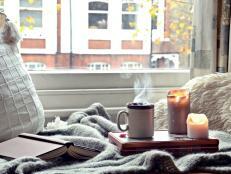 Dress your favorite spaces — both indoors and out — for the cold-weather seasons with these chic and cozy decorating ideas. 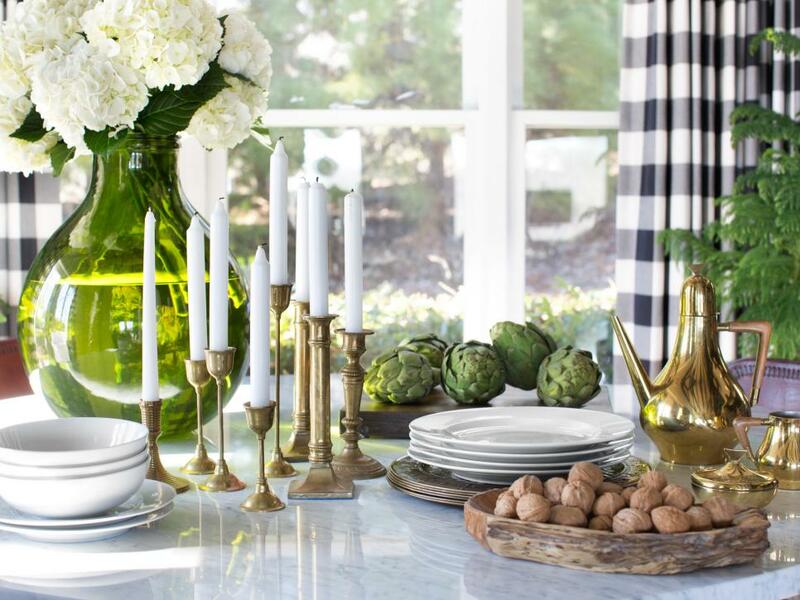 Keep your table settings cost-efficient and classic with a mix of vintage decor, cut greenery and pinecones. 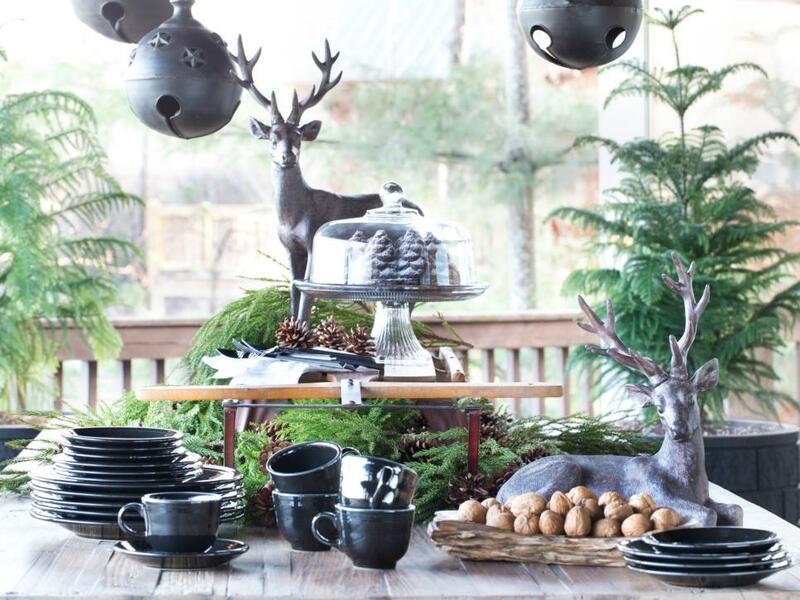 Here, the outdoor dining area is packed with texture and contrast with a mix of organic accents paired with a glass cake stand and black dinnerware. 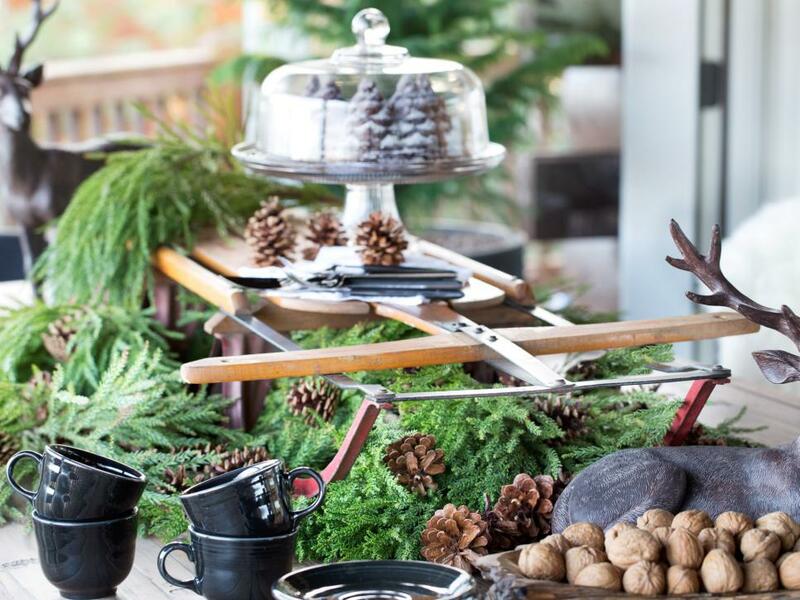 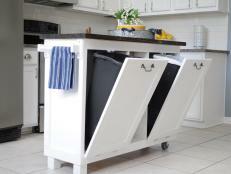 Add height to your outdoor table by repurposing a vintage sled as a food riser or centerpiece. 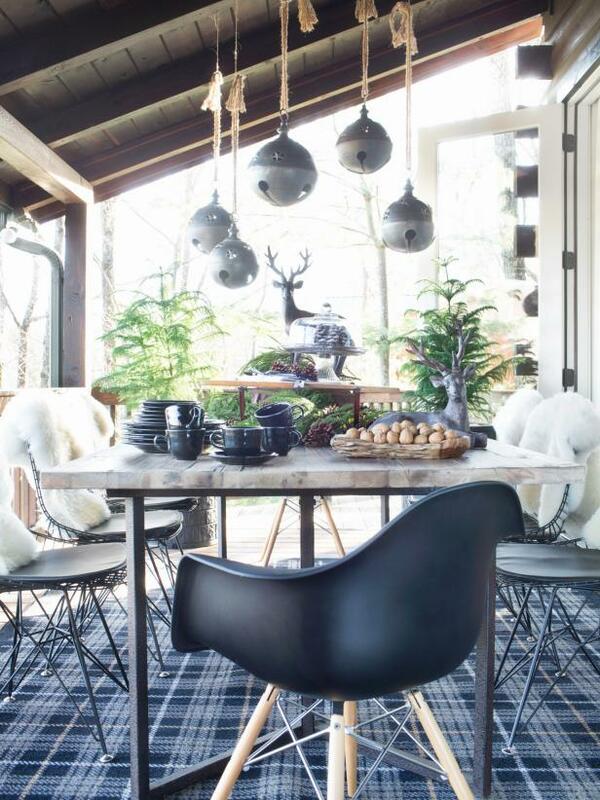 Here, a wooden sled adds a fun mix of texture with its metal base and wooden slats. 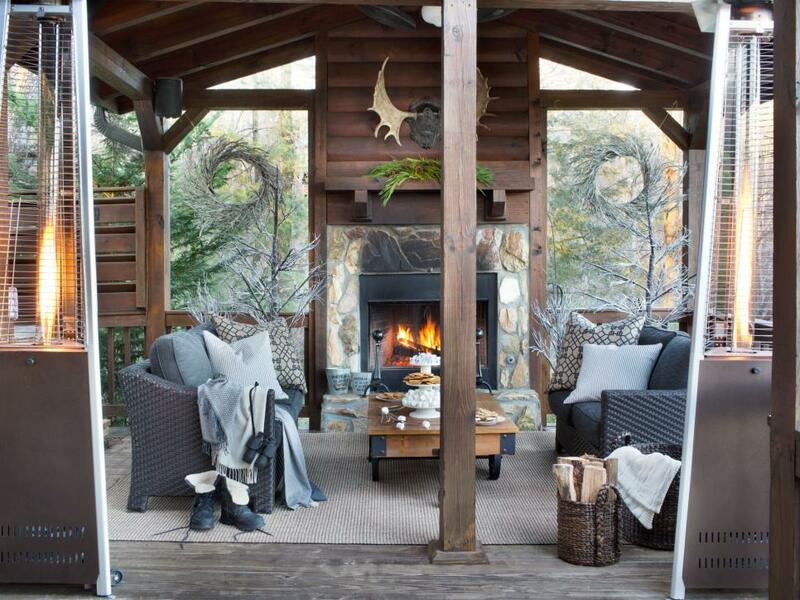 Bring cold-weather parties outside with a s'mores station. 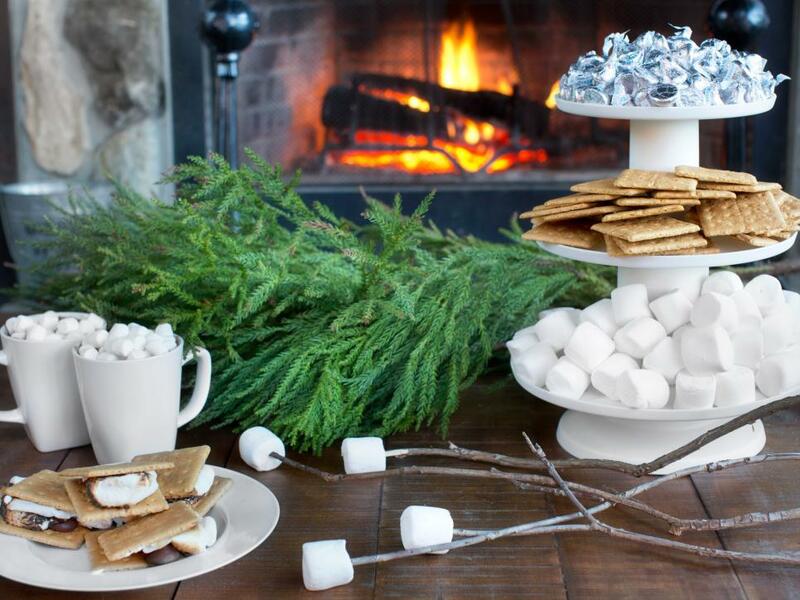 All you need is a tiered serving tray, plates, chocolate, graham crackers and marshmallows. 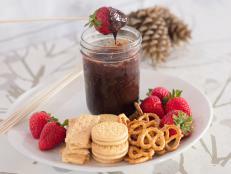 Put a rustic spin on this classic treat by using twigs instead of skewers. 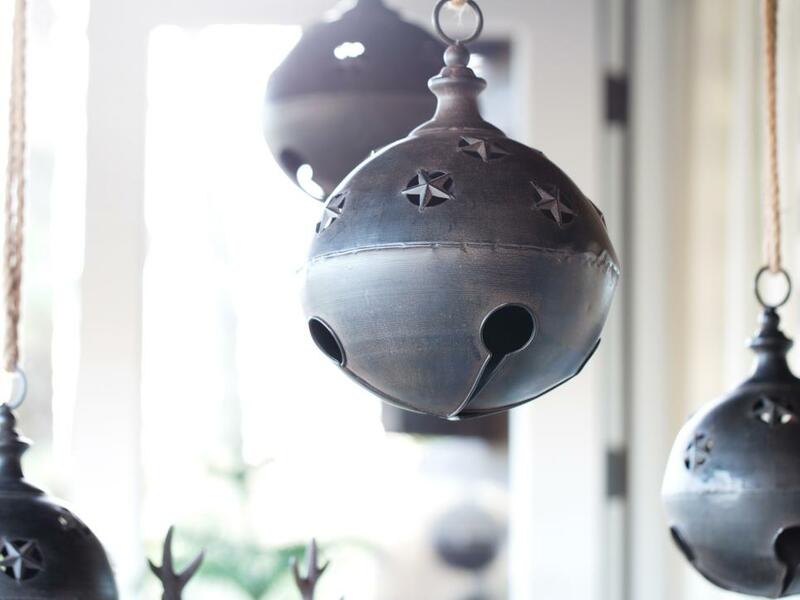 Ground your outdoor space with classic style by suspending oversized iron or bronze jingle bell decorations with sisal rope. 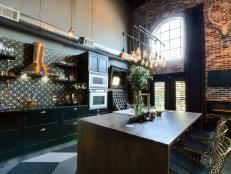 This adds a unique shape to the area and pulls in a touch of metallic. 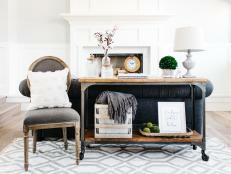 Transform everyday chairs for the holidays by tossing faux wool throw rugs over the backs. 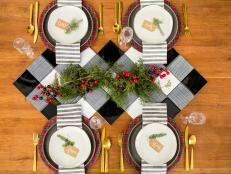 This introduces warm texture and a touch of wintry cabin style. 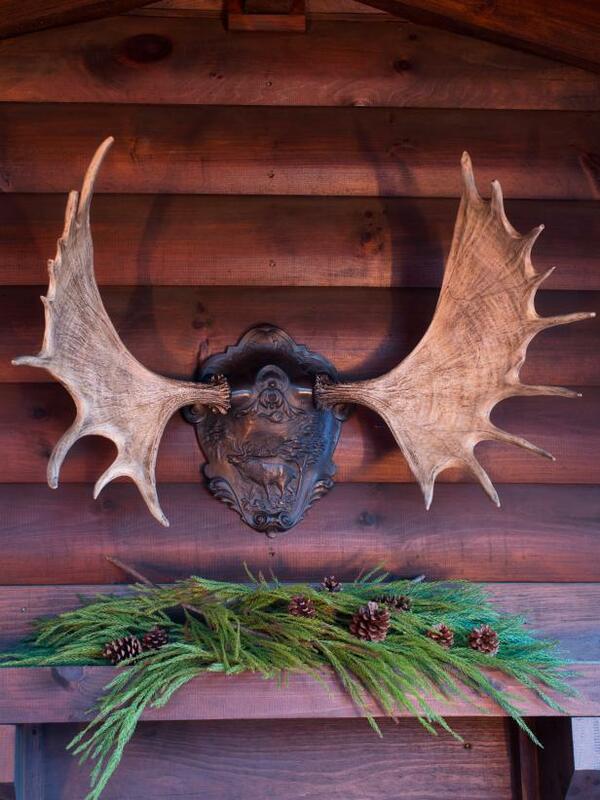 If you're looking to add a woodsy touch to your holiday decor, consider hanging cast resin antlers. 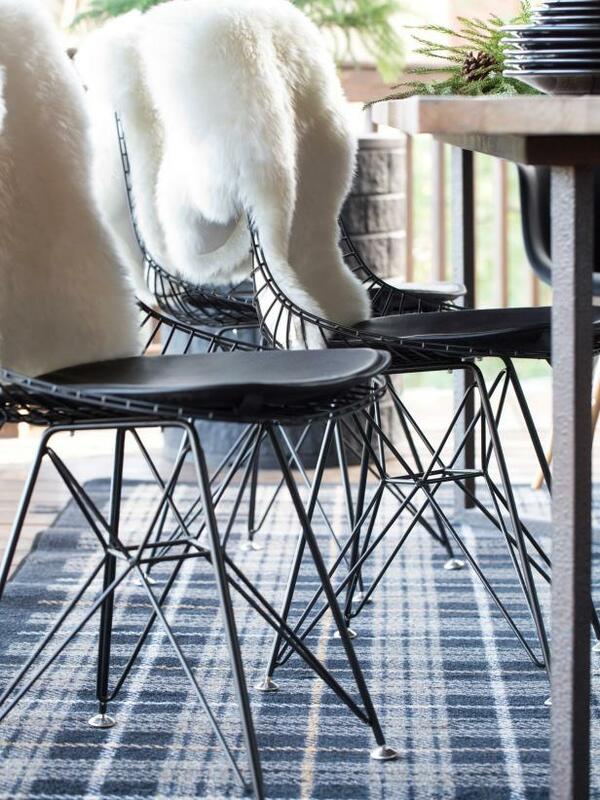 These man-made creations are animal-friendly and instantly add a rustic touch. 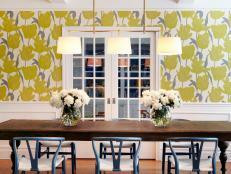 Sometimes the less-is-more look is the way to go. 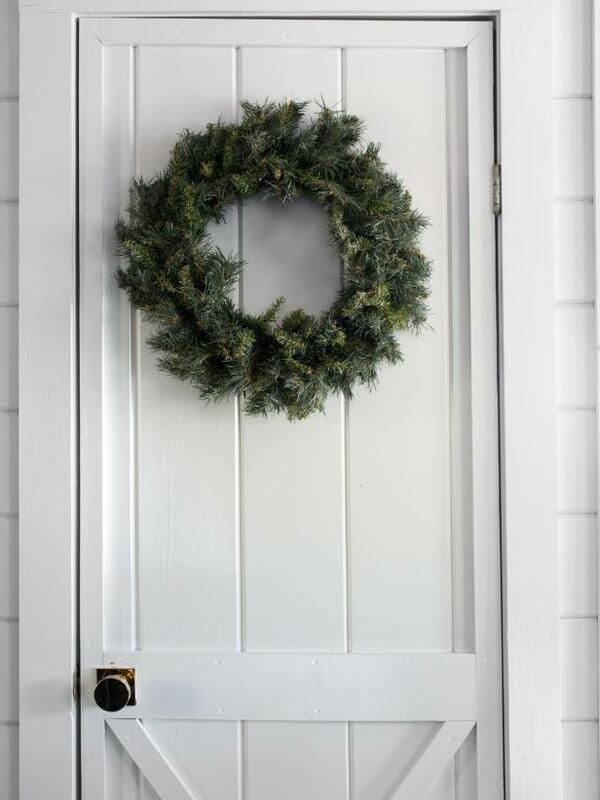 If your living room is casual and lived-in, simply add a few bare wreaths to your doors or windows for a small, seasonal touch. 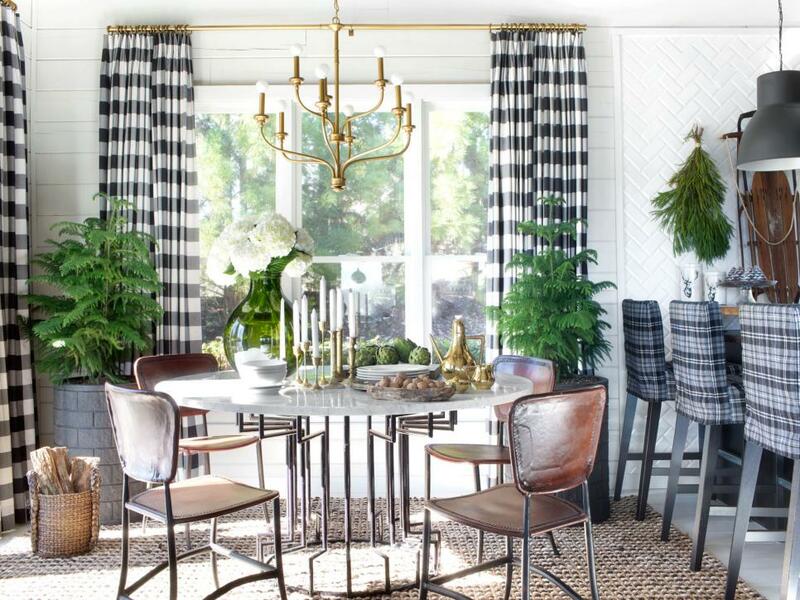 If you're looking for quick and easy ways to add holiday charm with little commitment, try accents of lush greenery and rich woods. 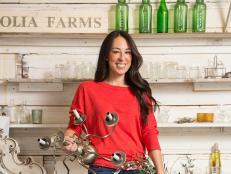 This dining room and kitchen is transformed by adding a pair of potted pine trees, tree cuttings and vintage wooden objects. 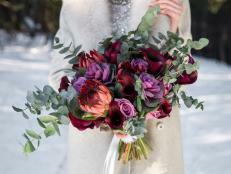 Elevate evergreens with planters and containers that evoke holiday style. 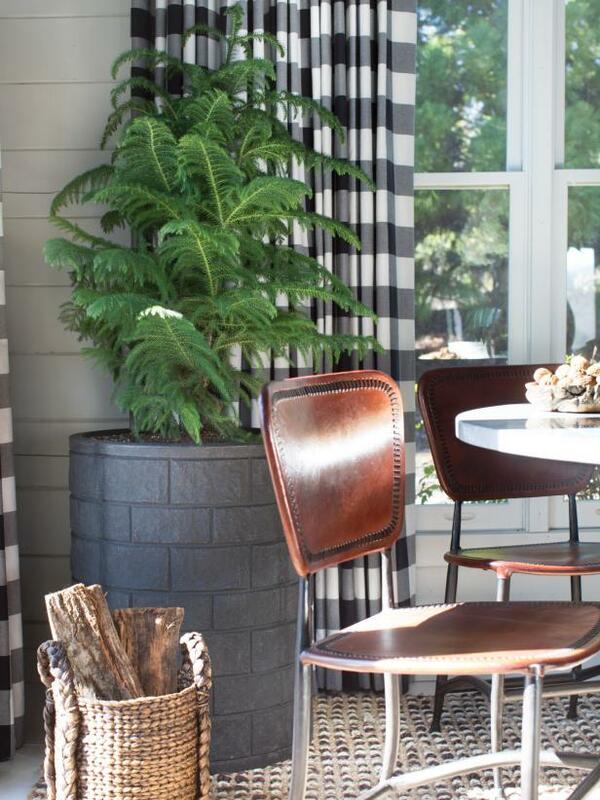 Here, a pair of pine trees is planted in cast resin planters that look like brick chimneys and can add a touch of wintry charm inside or outside of the home.